Attached below you will find printables for this weeks (February 25 - March 3) Come Follow Me lesson. They should assist you in teaching your family Matthew 6-7. The following are scripture reference cards for Matthew 6-7. Just fill out the reference that goes along with the scripture. Happy Valentines Day! 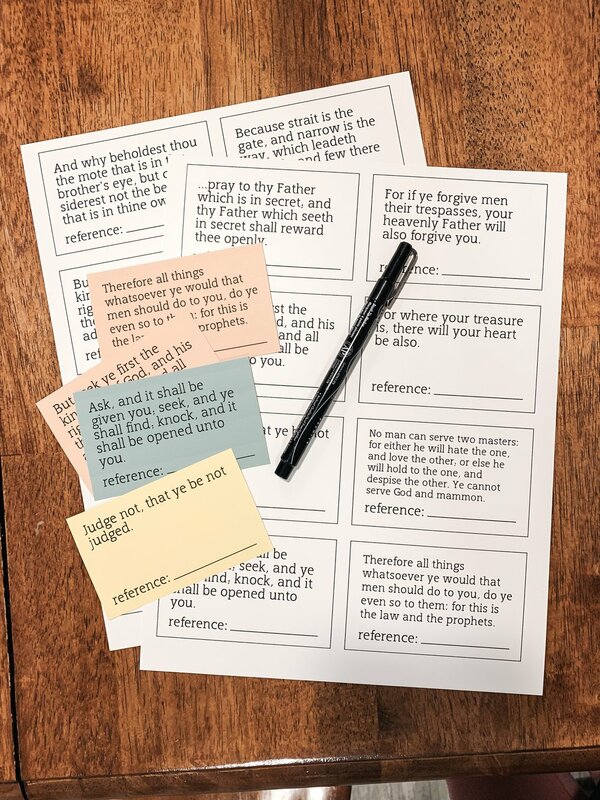 We wanted to share this free Conversation Hearts printable with you of things that Christ said in the New Testament. There are so many fun traditions to participate in at Christmas time. 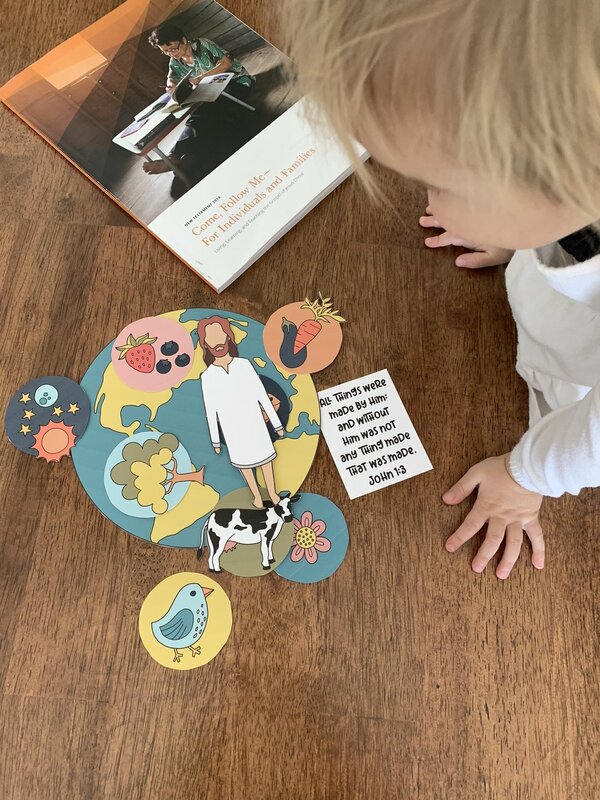 We love adding new traditions every year to do with our growing family. We made a bucket list for the month of December and wanted to share it with all of you! Merry Christmas! 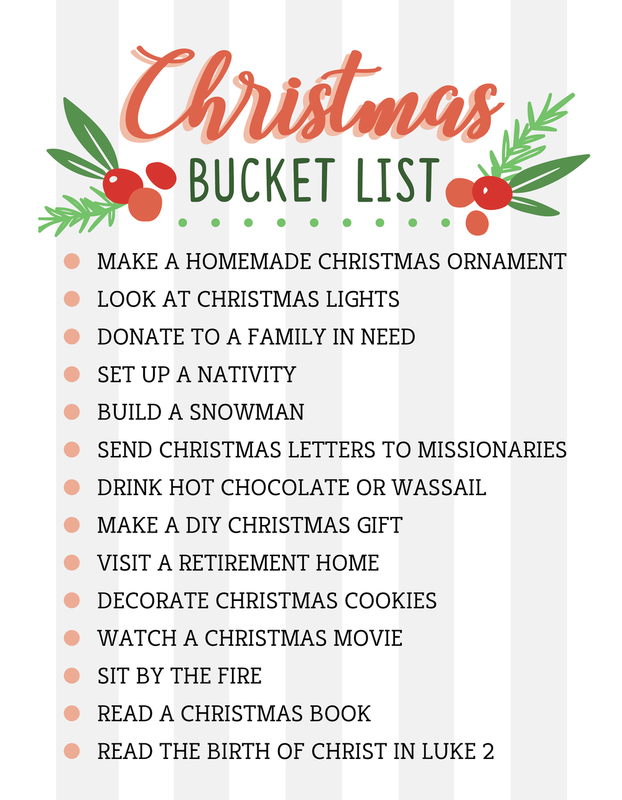 Click HERE to download the Christmas Bucket List. It’s so hard deciding what to make for dinner every day! I get stuck sometimes making the same thing over and over. I am not in love with cooking so I like my recipes to be super basic and easy. I found this recipe and thought I would share it. It tastes great and is easy to make! Nothing super fancy and it only take one pot! It’s an easy clean up after it’s all finished. Enjoy! 3. Have you or your kids color the temple during conference. 4. Post a picture of the newly colored temple to your instagram and tag @latterdaybaby. We will choose the most CREATIVE picture that we see, and will announce the winner Sunday night at 6:00! Good Luck! !